Pan Amoco Federal Credit Union is committed to meeting all the financial needs of its members without compromising the valued relationship we have with our members. The Directors, management and staff of the Credit Union acknowledge that our member’s trust and confidence in the Credit Union is our highest priority. 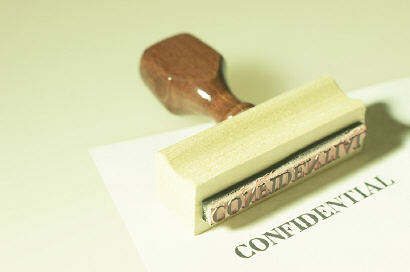 In their daily transactions and dealings with us, our members furnish us sensitive and confidential information. We are committed to protecting our member’s privacy and it is our stated intent to comply with the NCUA Privacy Rules and other applicable privacy provisions. To ensure that our members continue their trust in our Credit Union, we adopt the following policy. Pan Amoco Federal Credit Union shall comply with all NCUA Privacy Rules and all applicable state privacy laws affecting us. Pan Amoco’s Compliance Officer, Bonnie C. Guzzardi, shall be responsible for ensuring that all Directors, management, and staff are properly trained in the various privacy laws affecting the Credit Union. The Compliance Officer shall continuously monitor privacy regulations. The President of the Credit Union shall ensure that the Credit Union has fully complied with all privacy laws. No Credit Union employee shall request information from a member unless that information is necessary to conduct or complete a transaction, process an application, or is for business purposes. Pan Amoco Federal Credit Union shall only share the information it collects from its members and former members when absolutely necessary. We will only share information to administer the products and services we provide, when required to do so by the government, or when we partner with other businesses to offer a broader array of products and services. Pan Amoco Federal Credit Union will partner with businesses that follow strict confidentiality requirements, and do not use our member’s personal information for any purposes other than the purpose of our agreement with them. Under no circumstances will we authorize those firms to charge a members account for any fees without your expressed consent, and we will not sell member information to telemarketing firms. Pan Amoco Federal Credit Union shall restrict access to our member’s information to Credit Union employees who need to know that information to provide products or services. The Credit Union shall maintain physical, electronic and procedural safeguards that comply with federal and state regulations in order to protect our member’s personal information. Pan Amoco Federal Credit Union shall create and disclose a privacy notice to all credit union members upon establishing a membership with the Credit Union and at least annually thereafter.